Could you use a little extra storage at your home? 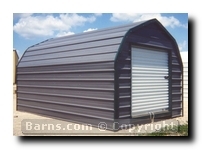 Barns.com gives you countless options in storage sheds, and we can help you find exactly what you need. 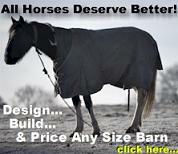 We will help you find the right size, materials and look for your new shed. Got A Custom Project? We work with thousands of customers, each project is different. Leave it to our experts to assist you in finding what will fit your needs. Call us, we specialize in custom built barns, horse barns, metal barns, metal buildings and other custom built barn buildings. Toll free 888-812-2767. 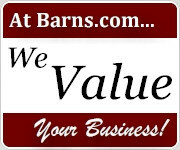 Barns.com offers 12 colors choices. Customers may pick up to 3 colors; roof color, siding color and trim color. Multiple color options are no additional cost. 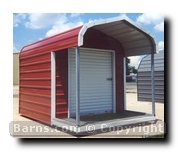 We offer metal/steel sheds. Our strong galvanized steel framing protects against rot, un-leveling over time and other outdoor elements. 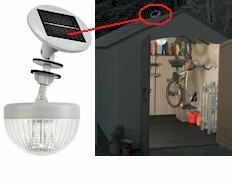 See one of our shed virtual tours for an inside view. Since we carry a wide variety of American-built brands, and we can custom make each garden shed to order, we know we can fit within just about any budget. 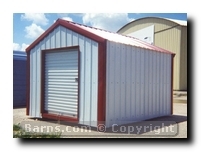 The colors, optional windows, number of walk-in doors, and roofing packages to choose from will make this storage shed match your property and its function perfectly. As our slogan states, we are "Your trusted source, covering all your needs". We can say that because we carry so many brands for you to select from. To begin finding the storage shed right for you, check out our pictures and pick a style from this page. Then call us at 888-812-2767 (Local Phone Directory) and we will go over sizes, colors, and features, and get you instant pricing for brands in your area. Got A Custom Project? We work with thousands of customers, each project is different. Leave it to our experts to assist you in finding what will fit your needs. Call us, we specialize in custom built barns, horse barns, metal barns, garages, metal buildings and other custom built barn buildings.